The Paris prosecutor’s office said it was treating the fire as an accident, ruling out arson and possible terror-related motives, at least for now. 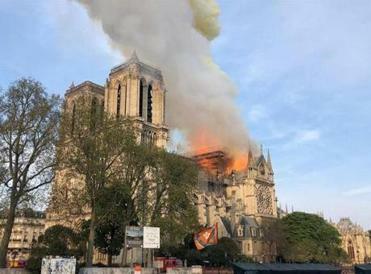 French media quoted the Paris fire brigade as saying the fire was ‘‘potentially linked’’ to a 6 million-euro ($6.8 million) renovation project on the church’s spire and its 500 tons of wood and 250 tons of lead. Flames shot out of the roof behind the nave of the cathedral, among the most visited landmarks in the world. Hundreds of people lined up bridges around the island that houses the church, watching in shock as acrid smoke rose in plumes. Speaking alongside junior Interior minister Laurent Nunez late Monday, police chief Jean-Claude Gallet said ‘‘two thirds of the roofing has been ravaged.’’ Gallet said firefighters would keep working overnight to cool down the building. Firefighters are battling a massive blaze at the French capital’s iconic Notre-Dame Cathedral. 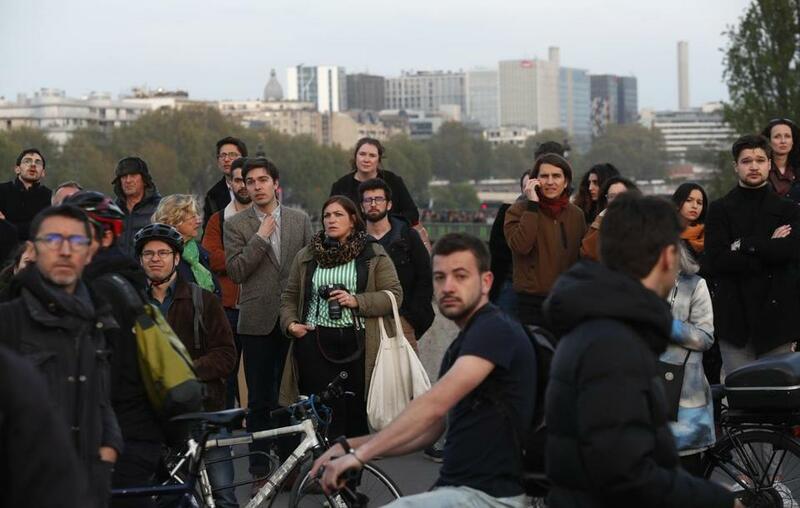 People watched as flames and smoke rode from Notre-Dame Cathedral. The Notre-Dame Cathedral, as pictured on March 27, 2019, shows a scaffold during the building’s restauration. French President Emmanuel Macron treated the fire as a national emergency, rushing to the scene and canceling a previously scheduled televised address meant to address France’s yellow vest crisis. ‘‘The worse has been avoided, although the battle is not yet totally won,’’ the president said, adding that he would launch a national funding campaign on Tuesday and call on the world’s ‘‘greatest talents’’ to help rebuild the monument. ‘‘Notre Dame of Paris is our history, our literature, our imagination. The place where we survived epidemics, wars, liberation. It has been the epicenter of our lives,’’ Macron said from the scene. 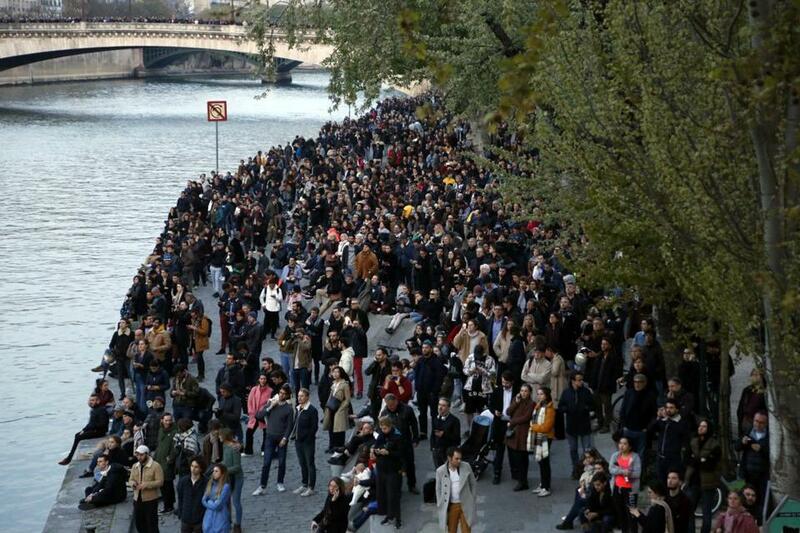 People watched as flames and smoke rose from Notre-Dame. Former president Barack Obama also tweeted a photo of his family visiting the storied church. 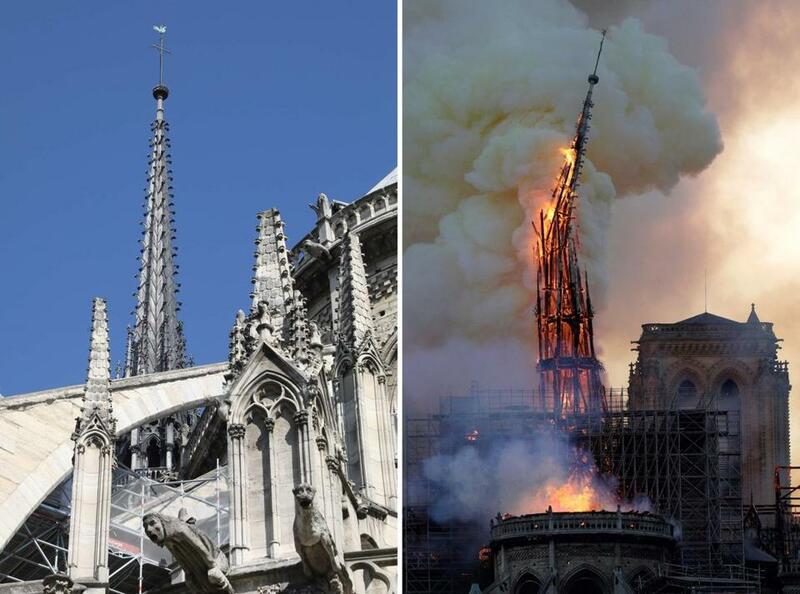 This combination photograph shows the steeple of Notre-Dame Cathedral — on left, taken in June 2016, and on right, as it collapsed on Monday. 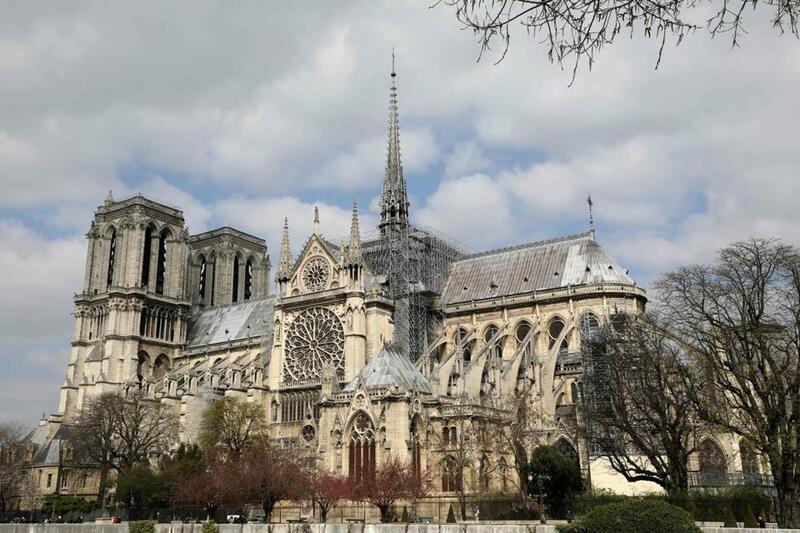 Correction: Due to an error by the AP, an earlier version of this story stated the source of information on the cathedral’s structure being saved as coming from the Paris police chief. It came from the Paris fire chief.